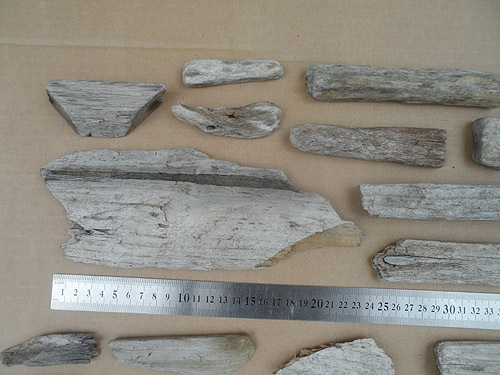 Driftwood SOLD – DRIFTWOOD LOT NUMBER 130219A – R150. 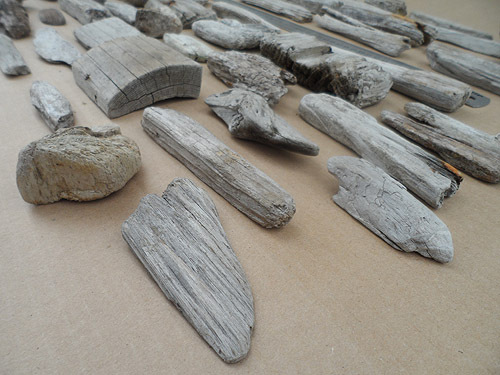 40 Driftwood pieces – SOLD for R150. Take note of the 60cm ruler in the photos to get an idea of the length of each piece. 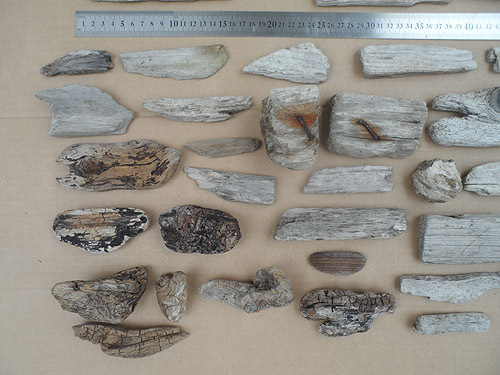 These are small driftwood pieces, all mostly sort of grey in colour except for a few sort of brown coloured ones lower left in the photo. 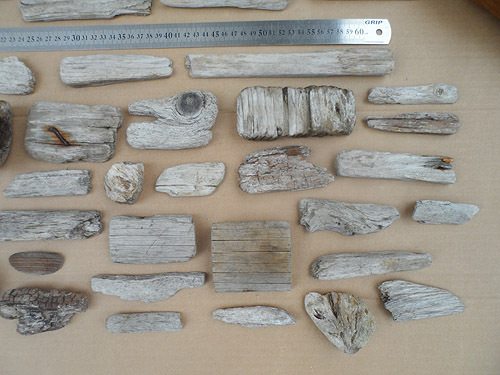 These driftwood pieces are all mostly rectangular – angled corners and flattish, rather than being round and long like sticks. Several photos are shown here of just this ONE driftwood lot 130219A. driftwood lot 130219A – cat shows driftwood size. 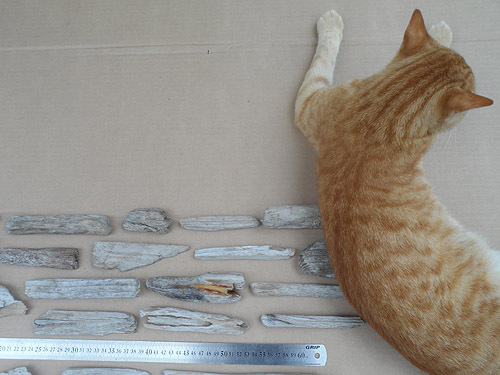 In addition to the ruler, our cat helps show the size of these driftwood pieces. 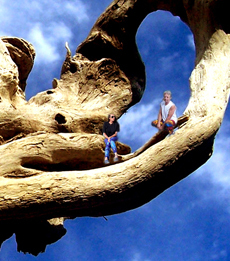 The driftwood pieces are small. 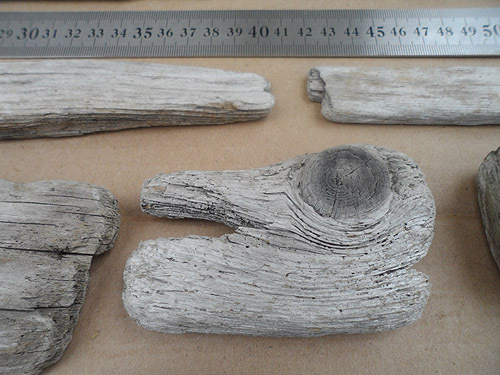 driftwood lot 130219A – brown driftwood pieces. These are the pieces lower left in the first photo. While all the other pieces are mostly light grey in colour, these few appear more brown. driftwood lot 130219A – rectangle. 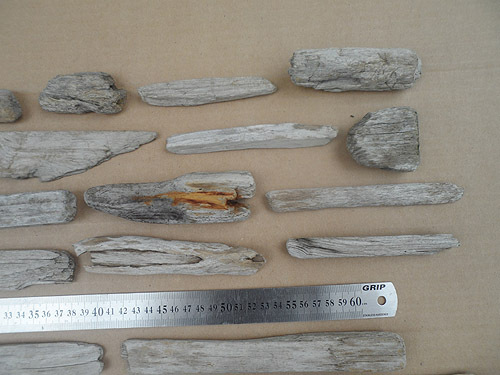 These driftwood pieces consist mostly of rectangle shapes rather than normal stick shapes. driftwood lot 130219A – nails in driftwood. 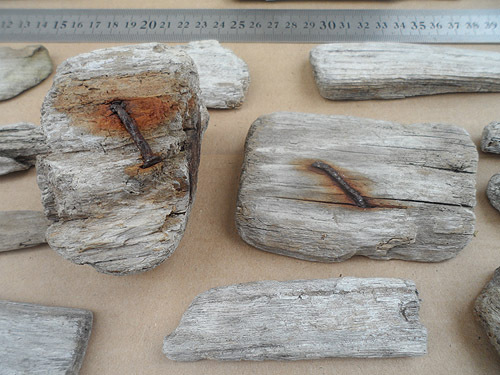 Rusty nails in driftwood can add an additional rustic look to your driftwood decor or craft project. driftwood lot 130219A – faces. 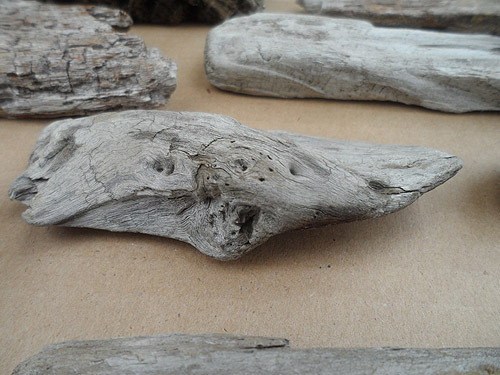 How many faces can you see in this piece of driftwood? Find something that could be an eye or two eyes, and then you’re likely to see a face, whether from the front (two eyes) or in profile / from the side (one eye). Then do it again with a different spot for the eye or eyes.It could be a human face you see, or an animal face, or some weird creature face! driftwood lot 130219A – driftwood faces. It’s always fun looking for faces in pieces of driftwood. This piece could be the head of something facing to the left, or the head of something facing to the right. 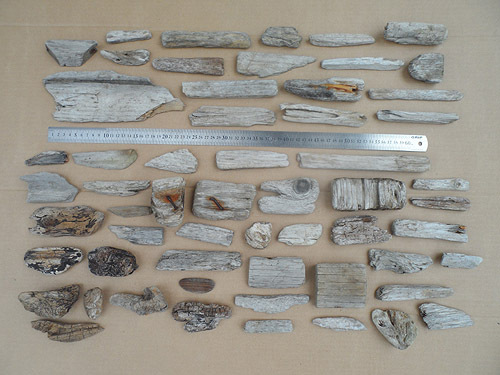 What can you use these 40 pieces of driftwood for? That’s up to you, but we think they’re perfect for a decor or craft project that requires many small pieces all knocked closely together, like perhaps knocked onto a cutout shape background to hang on your wall, or even keep things minimal and display just 4 or 5 fairly interesting pieces on a wood backing or in a frame, as wall art, or even simply displayed in a pile in a large glass bowl on a coffee table in your lounge. This driftwood lot 130219A is already SOLD. 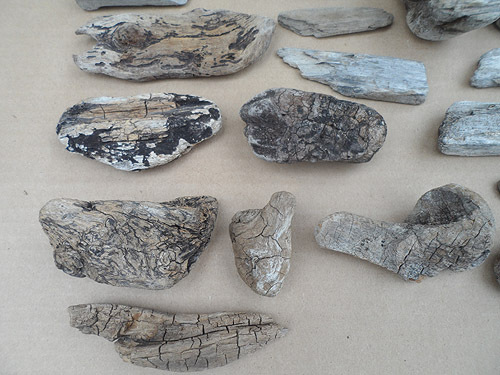 See photos of all our current driftwood lots for sale on one page, or you can also scroll down in our Driftwood for Sale blog category to view our current driftwood lots for sale, or if you have already taken note of the driftwood lots you want, contact us now. This entry was posted in Driftwood, Sold on February 14, 2019 by The Driftwood People - Terry and Tony.